Life in the world's metropolises doesn't just play out above ground. Metros in the largest cities of the world transport umpteen thousand people from one station to the other on a daily basis. 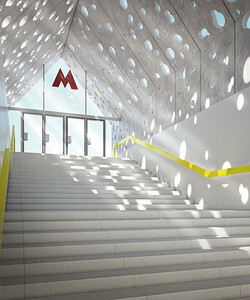 The Moscow Metro has one of the deepest and most frequented metro systems globally. Furthermore, it has turned these underground hubs into full-scale palaces and temples of transport - a visit thus resembles that to a gigantic art museum. This lavish book Hidden Urbanism probes deeply in order to celebrate this concealed splendour of the Russian capital. Opened in 1935, the most fascinating and heavily frequented metro system in the world comprises a route network with a total length of 320 km. Each year more than 2.4 billion passengers use almost 200 stations. The aim is for a further 80 km – that is a quarter of the current network – to be connected by 2017.The metro of the capital with fifteen million inhabitants is thus on the threshold of an enlargement which will be the largest in its history. Moscow is growing and reinventing itself. Therefore, the metro is part of an urban strategy which will make Europe's largest city a desirable place to live, with all-over easy accessibility points. 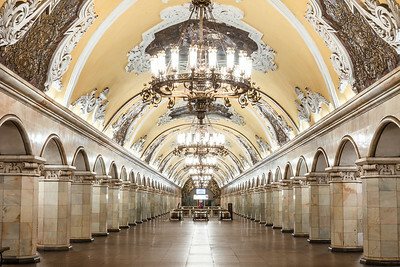 Although it is known especially for its art-deco and neo-classical metro stations dating back to the Stalinist period with their opulently adorned columns, sculptures and mosaics, these are just part of the city buried underneath. 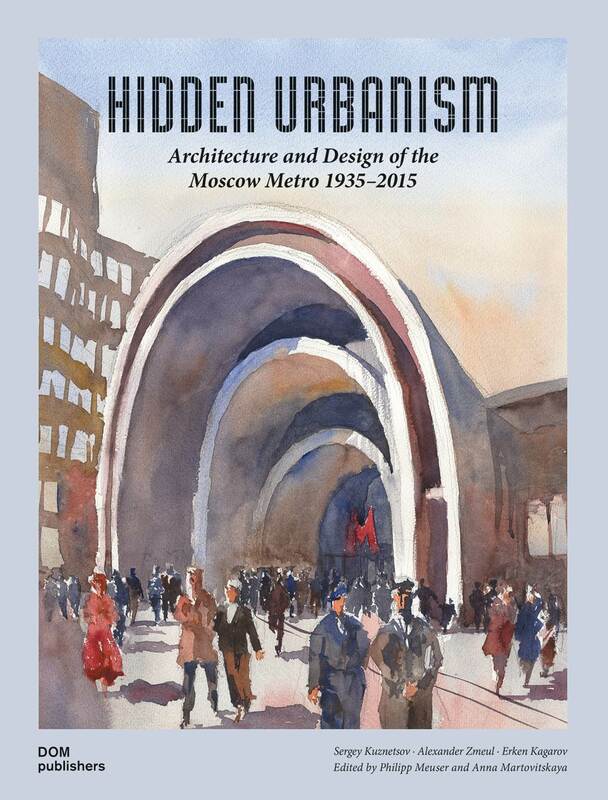 Therefore, this book traces the overall development of the Moscow underground since its opening until the present day. It is a comprehensive, more or less all-encompassing documentation of Moscow's underground construction. Special attention is given to urban development. In this context, the authors not only discuss transport planning, engineering services and architecture, but also take the design into consideration - from way-finding systems and corporate identity to the branding, such as on posters or tickets. 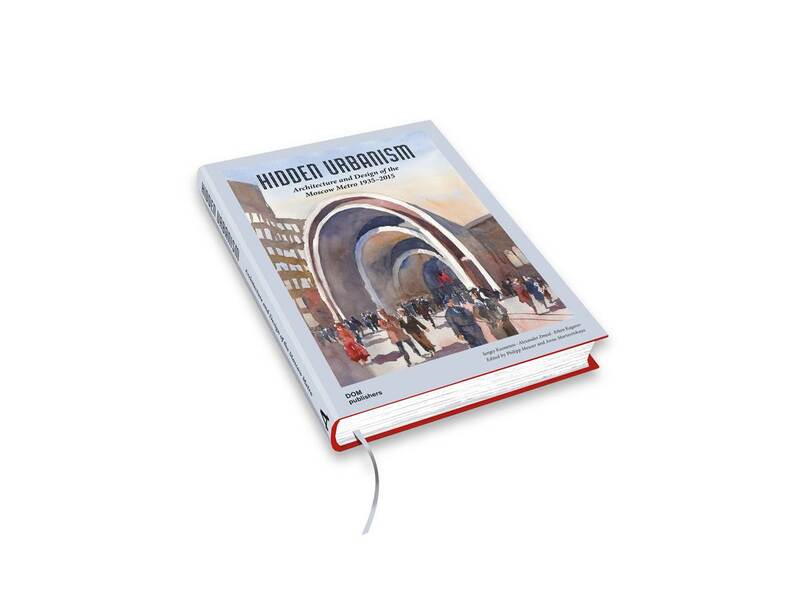 Three text contributions examine the world of the underground from various angles: that of the Chief Architect of Moscow, Sergey Kuznetsov, the architectural historian Alexander Zmeul and finally Erken Kagarov, whose design agency recently lent the metro a new image. 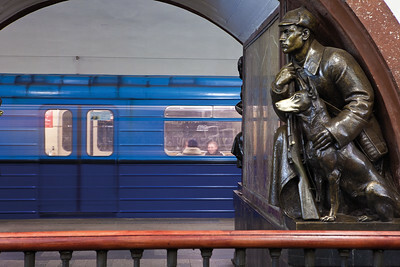 The volume celebrates the splendour of the Moscow Metro with plenty of visual material. Essays by Alexander Popov featuring large-format photographs allow the reader to delve deep into the underworld. This is complemented by historic designs, drawings, photographs and advertising posters, some of which have never been published before. A visual delight to be fully enjoyed. With this book, DOM publishers continues its studies on Soviet and Russian art and technological history, in train with its fascination for cosmonautics, serial mass housing and mass transport.